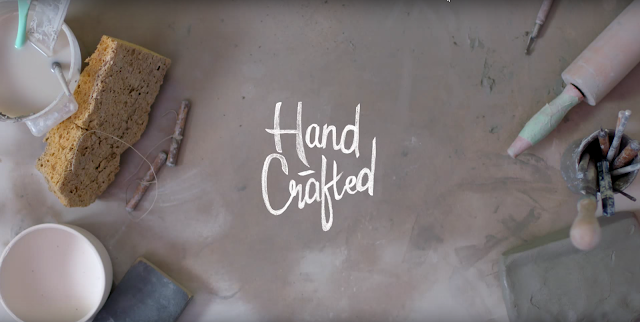 In this episode of hand crafted, we’ll meet a Vancouver-based ceramic artist whose work is rooted in her childhood memories and in the philosophy that there is tremendous value in the everyday experience of sharing a meal. Each piece is a combination of experience and memories it's part of my identity. When I was young my parents hosted a lot of parties and were all centered around food and increase in human custom there's a dish called Panton in which little dishes that are all different. So it was all about sharing and with tasting little bits and my grandmother would come over and make dishes, like hundreds of dishes seeing the focus that she put into each piece and making each beautiful. When I look back I look back on that time as a good time in my childhood. I graduated in industrial design I was hired as a visual stylist for home décor company after a few years it was very trying. It was frustrating to design a piece and it not turning out at all the way that I intended. It all came down to costs and profits and cutting corners that lead me to quit and start my own business of making handmade ceramic. Working with the clay really connects me with the elements. And it reminds me of my past and my experiences visual experiences in my tactile experiences. That's kind of all stored away in my fingers my eyes like rain and they all come out little-by-little. Clay is difficult to work with because it has a memory of its own. All its molecules and structures are lined up a certain way. So when you are dedicated to the shape that you want, you have to stick with it. You never know what is going to happen in the firings. Three are two firings and the first firing everything may be perfect. And 2nd firing everything may blowup or crack. So every stage is unpredictable. In handmade ceramics each imperfection is also the unique little touch. I find when I use handmade work I enjoy my meal more. And I really savor the experience. There is a lot of value in something that's handmade and meant for more than just its purpose. It's a part of me and tells a story within a simple form. To have someone else value the work that you made maybe the same way that you have valued it, its life changing and it’s in its soul feeding, its is just wonderful.